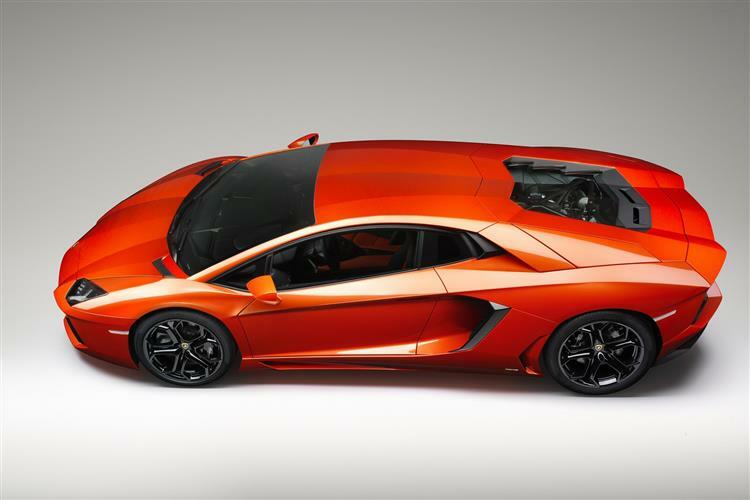 Lamborghini jumps forward two generations with its astonishing Aventador supercar. Jonathan Crouch reports. The supercar as a concept has run its course. It's certainly an interesting discussion point and one that looked to be gaining traction until fairly recently. The market had split into the money-no-object million Euro hypercars beloved by Russian oligarchs, Chinese industrialists and Arab playboys at one extreme and entry-level models from the established Italian manufacturers with their accompanying rump of rivals. Between these two points, the market was struggling. Lamborghini's magnificent Murcielago LP-670 SV smacked of the last thrashings of a dying genre. The top brass at Lamborghini knew that something radical had to be done to breathe new life into the formula. The result is the Lamborghini Aventador LP700-4. At first glance it doesn't seem a major departure from a well-established bloodline. Squint and it looks like a Murcielago, albeit gym-honed with sharper edges. In classic Lambo style it features a big V12 behind the driver and the doors open upwards as before. But delve a little deeper and you'll begin to understand the scope of Lamborghini's achievement. Performance is, as you would expect, staggering. An output of 700PS makes this the most powerful normally-aspirated car in series production, but the Aventador's engine is in no way related to the Bizzarrini-designed V12 that was first plumbed into a Miura and which ended up - in much modified form - in the Murcielago. This all-new dry-sumped 6.5-litre engine continues to drive through all four wheels but does so via an ingenious single-clutch ISR sequential gearchange that, when switched into Corsa mode, can deliver gearchanges of breathtaking speed and brutality. On the road, the car is better left in Strada or, if you're keen, Sport mode. The steering is light yet precise, body control excellent and the brakes are crushing, as you'd expect from carbon ceramic discs with six-piston callipers at the front and four at the rear. Acceleration? Think rest to 60mph in 2.7s and on to a top speed of 217mph, accompanied by the sound that's purer in its timbre than the sometimes agricultural off-cam rumble of the old V12. The handling balance is a good deal more benign, thanks to better weight distribution, improved suspension design and smarter electronics. The end of the old-school scary Lamborghini V12? Try holding the throttle pedal down flat for ten seconds and get back to me on that one. If you're not completely juiced after doing that, you've got no petrol in your veins. 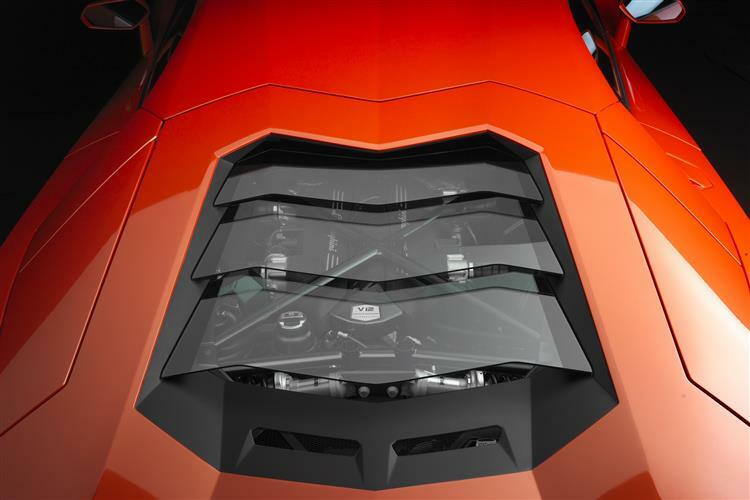 It's hard to know quite where to start with the Aventador's design and engineering. Everything has moved on not just one, but probably two generations from the Murcielago. The chassis is no longer a macrame of steel tubes welded together by an old boy in the Sant'Agata plant. Instead, the central section is a carbon-fibre tub with the engine bolted to the back. Many of the body panels are carbon fibre too, so despite packing an engine that looks as if it would quite easily power an Apache helicopter, the Aventador weighs about the same as a Nissan 370Z at just 1545kg. The beautiful inboard-mounted pushrod Ohlins dampers help maintain a low bonnet line. The styling is evolutionary, with hints of the limited-run Reventon about the front end, but the detailing is beautiful with intricately tessellated body panels and a wonderful cohesion of line. 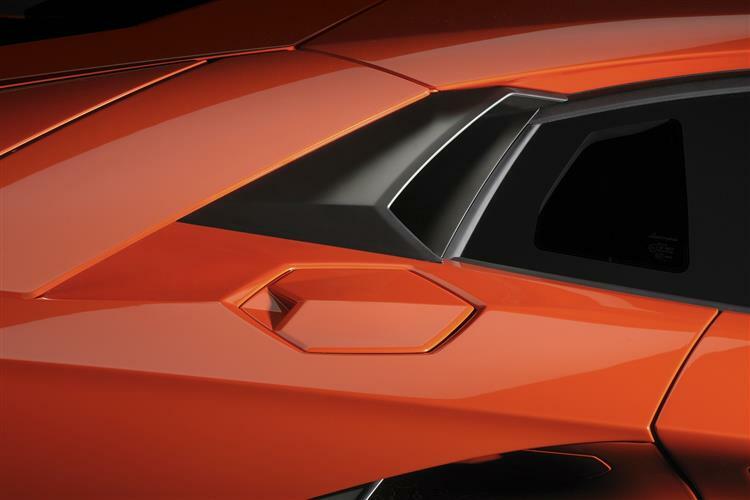 The big side intakes and the undershot rear lights give the Aventador some identity of its own and that impression is only confirmed inside the car. 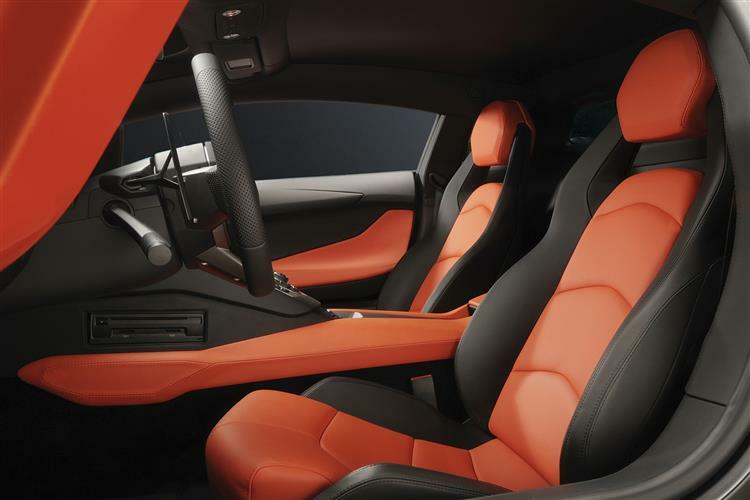 The quality of the interior has taken a massive step forward, with a whole host of interesting details. The LED instrument panel, the fighter jock-style engine start cover and the driving position that no longer requires a scoliosis to get comfortable behind the wheel are all departures from traditional Lamborghini V12 models of the past. At present there's just one model in the range and it's yours for £201,900 plus local taxes, so don't expect much change from a quarter of a million. Churlish as it might seem to mention it, but when its level of performance is taken into consideration, the Aventador stands up as rather good value, this rather vacated section of the market now looking open for Lamborghini to redevelop. It's a not so guarded secret that a targa-topped version is in the works and if Lamborghini is anything like true to form, an even wilder SV model will also arrive, although not for some time yet. Standard equipment includes the carbon ceramic brakes, the switchable sequential gearbox, front, head-thorax and knee airbags, a selection of thirteen production paint colours to choose from, three of which are sophisticated matte tones. A choice of two-tone interiors are offered, while a premium audio system and reversing camera are among the many technology options. And of course, the "Ad Personam" individualisation program knows no limits when it comes to colours and materials. Although the cost of ownership will be a moot point to some Aventador customers, others might well be in the position to take a punt if it's not going to cost the earth. Lamborghini has vetted its customers carefully to try to prevent against speculators but there are always going to be low mileage cars being sold for £50k over list. Do this and running an Aventador will be considerably cheaper than running a Vauxhall Corsa! Miss the boat and you'll begin to feel the fiscal weight of running a V12 supercar. Lamborghini has made great strides in improving the efficiency of this model and points to the fact that carbon dioxide emissions are down by around 20 percent compared with its predecessor, despite the considerable increase in power (+8 per cent) . To put some flesh on those bones, you can expect to average 16.4mpg and emit 398g/km of CO2. The Aventador LP700-4 offers a fascinating insight into the discipline of dragging the supercar into the here and now. 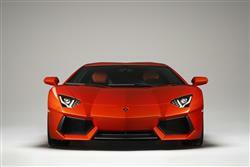 Lamborghini has retained a classic look, but has examined the technical challenges and pressed the fast forward button. And then pressed it again. 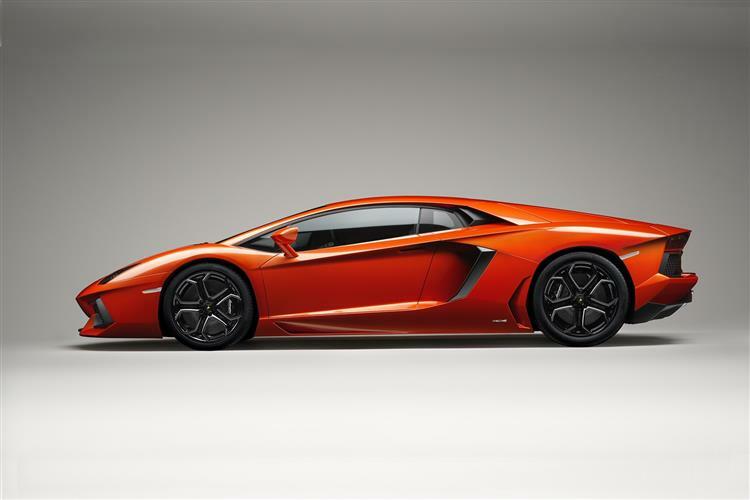 The Aventador shares nothing, apart from 'attutude', with its Murcielago predecessor. It features a completely new 700PS engine, an all-new carbon tub chassis and suspension that's like no Lamborghini before. No wonder its rivals were left agape when the wraps came off the cars at the Geneva Motor Show. It has moved the game on quite decisively. Although some of the old rough edges have been smoothed away in this process, the Aventador hasn't turned into something sanitised and safe. Put it on a track, switch it into Corsa mode and it'll deliver as feral an experience as you could wish for, albeit with you rather than arcane quirks of physics having the bigger say in its direction of travel. 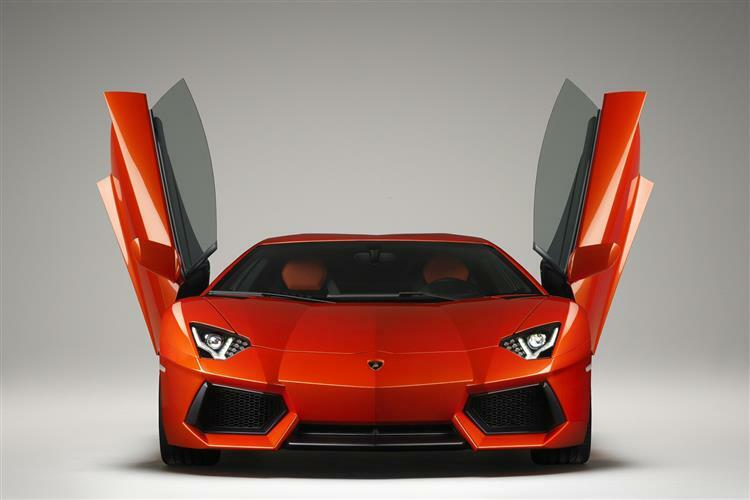 Lamborghini has reinvented itself with the Aventador, an extrovert supercar that wears its talent with discretion.